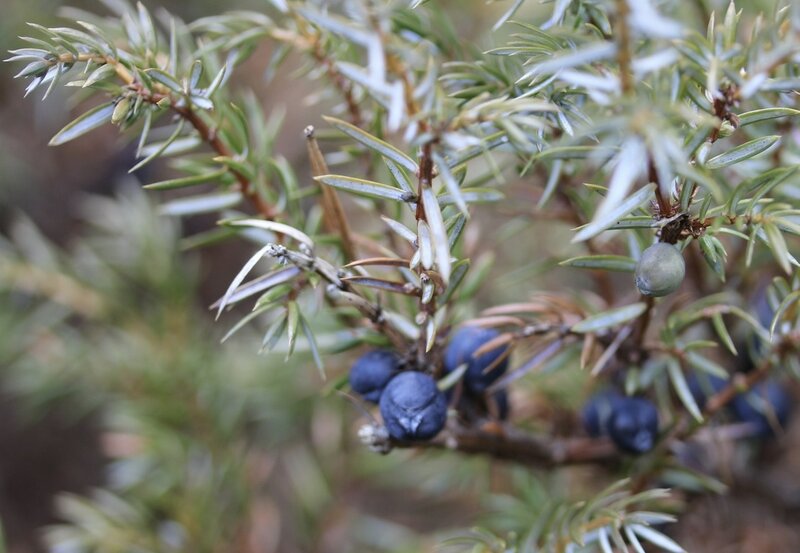 You'll find juniper shrubs in open fields, in old pastures here in the Bangor area. The pea-sized dark blue berry is covered with a thin bloom. Note the unripe green berry in the left photo, to the right just above the ripe berries. 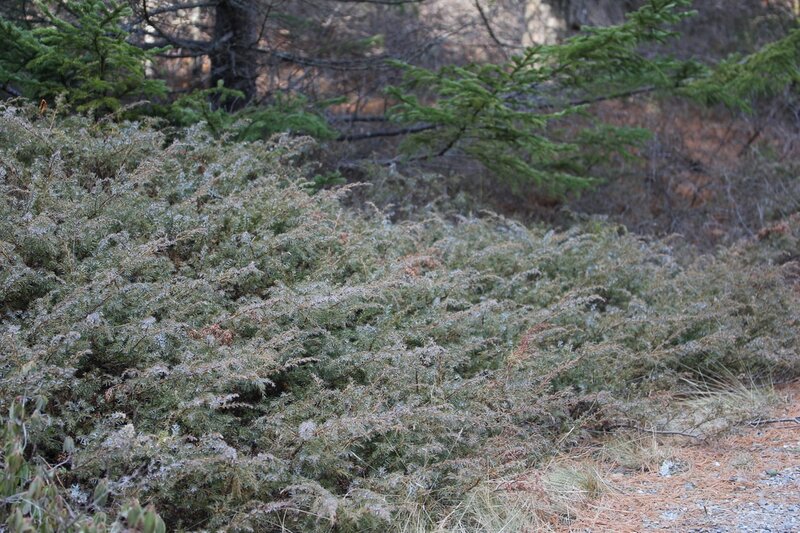 The second photo shows the shrubby growth of juniper. The evergreen leaves occur in whorls of three and are stiff and sharp.